There’s only one Venice, but you might be surprised to find that you can get the same scenic and historic feel - complete with canal ‘streets’ and gondoliers - in several other towns across the globe. 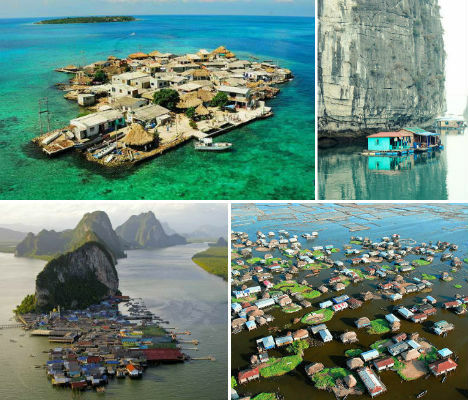 In fact, there are dozens of picturesque floating villages and islands that are so heavily populated, you can barely tell that there’s land under all the man-made structures. Here are 15 of the world’s most fascinating water-based communities.